The Steam Summer Sale is on. Go. Buy things. 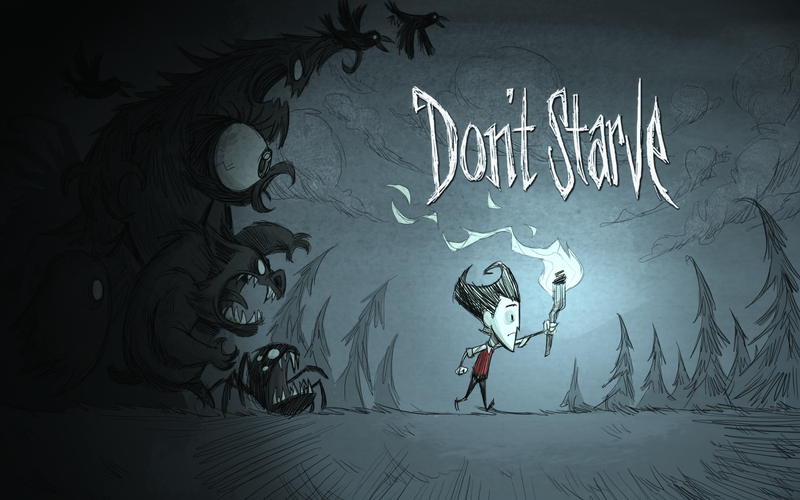 I highly, highly recommend the cheaper Don’t Starve as it’s getting a multiplayer version this September. I intend to buy like 3 copies to give to friends. It’s been a productive month. Not crazy, “I just finished five books and learned the guitar” productive, but a steady progression of words down, pitches readied, business, working out and so on. A really balanced approach to problems and progress towards what I want to finish. The super hero novella quarterly pitch, which we’re calling the Outlier Universe for now, has been fired to our potential publisher. It’s amazing what happens when you get five guys to sit down and come up with a shared story. But we’ve got it all: Realistic government agencies built in reaction to these strange events, a philosophically charged organizations whose splinter cells engage in anything from small time crime to straight terrorism. We’ve got fleshed out characters with plenty of personal inclinations and reasons to be involved, big time “Billionaire’s Clubs” who find ways to turn the changing circumstances to their advantage. And a designer drug that causes new characters and dangers to come out of the woodwork. And all of this takes place in the same universe. The events influence each other. Envisioned stories flow back and forth from smaller, personal pieces to address changing view points and philosophies to larger, meaningful epics. And whenever possible, connecting how the former relates to the latter. It’s kind of the ultimate power trip to see a person’s opinion on matters have such a potentially powerful impact. What I love the most is that we don’t do run-of-the-mill origin stories either. The moral compass isn’t clearly defined, and many of our so called heroes have some shady backgrounds. But we haven’t reached that point in our timelines of introducing the ultimate evils yet. And I don’t know what will happen to our gray characters when that shadow falls upon them. Another thing the guys and I haven’t addressed yet is what happens when a character dies. Marvel and DC Comics have tendencies to resurrect the dead all the time, which seems to make all violent struggles nigh pointless in the long run. I’m more inclined to bury my characters when they die unless there is an extremely, compelling reason and a steep price tag to bring them back (and for us, that “price tag” will probably include nothing less than a complete story, which is expensive to the writer’s time.) What’s the point of death if it isn’t permanent? But one way or the other, we’re ready for some damn fine story telling. Once the novel is through the beginning I’m happy with the way it flows. But the opening tends to be lump, preferring one group of characters over the others. But that’s an issue for editing and it’s more important to just get the words down for now. By the way, have you seen “Expiration Date” from the Team Fortress 2 development team? This entry was posted in Musings, Naw~naw~news and tagged Don't Starve, novel, Outliers, Steam, Summer Sale, super heroes, Team Fortress 2, Valve. Bookmark the permalink.